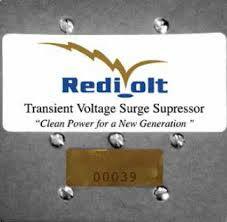 There is a new business in San Pedro Town that is providing protection to our homes and businesses from one of the most damaging agents, power surges, and that product is called RediVolt. RediVolt is a state-of-the-art power management system that can easily be installed in any business or home. Harmonic electrical imbalances, as well as internal and external power surges can cause thousands of dollars in damage and loss to valuable computers, production machinery and even home appliances. With RediVolt, protection from such power surges using harmonic filtering for electrical equipment is a guarantee for life. Each RediVolt unit comes with a lifetime warranty and a $100,000 connected equipment warranty from the manufacturer. 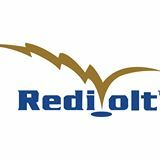 Since 1987, RediVolt has been providing quality surge protection for thousands of customers worldwide. RediVolt has already become a part of the community here in San Pedro, donating to The San Pedro Foundation, which provides scholarships to students in their quest for attaining higher educations, The Sunshine Foundation, and now Bridging Communications. Sunshine Scholarship Foundation says thanks! !